Synopsis: First this mini-love-lesson covers the surprising ways loneliness harms us; then the issues of ignore, fight, escape, just get used to loneliness, or what? ; doing what loneliness wants you to do; a cautionary note; Ricardo’s example and Ricardo’s results, (can they be yours?). Recent research shows loneliness is especially bad for your brain. What is bad for your brain can be bad for many of your body’s health processes and systems because the brain influences and regulates them. Loneliness also is bad for your psychological health and that can influence everything else in your life. One study of over 8000 men and women showed the lonely have up to a 20% faster rate of decline in mental abilities. Those who have prolonged loneliness are seen to have more stress illnesses and a greater likelihood of having brain inflammation problems. Loneliness can be seen as a component of love malnutrition or love starvation, which is understood to have a very negative impact on our immunity mechanisms, cancer resistance, blood pressure and a host of other physical problems. Ignore, Fight, Escape, Just Get Used To It – or ??? Many people try to escape their loneliness by diving into their work, business or various other involvements. Some try to escape into substance abuse or various behavioral addictions. Others get some temporary help from antidepressants and other medications. Another group of people try to fight loneliness seeing it as some kind of weakness or enemy. Still others see it as just one more human emotion to be ignored. Learning to live with it can dull the pain but the damage being done by prolonged loneliness still can happen. Usually none of these approaches prove to best serve our health or well-being. At best, they may provide some assistance in the short run but they can turn out to be quite bad for us in the long run, or at most, useless. So what are we to do? Wallow in our loneliness and just let it do all the harm it can? Of course not, that won’t help but there is a way that will. Doing What Loneliness Wants You to Do! Like all emotions, loneliness was created in us to do us some good, even though it feels bad, sometimes extremely bad. It may in fact get worse for not doing what the feeling of loneliness wants us to do. When we follow the guidance message in loneliness, the bad feelings tend to subside. Sometimes they begin to subside as soon as we get loneliness’s message, even before we have begun to follow that message with action. So what is the healthful, constructive, guidance message in the feeling we call loneliness? Basically loneliness can be seen as an emotional message telling us to go in search of love in any of its many forms. If you can’t find love quickly, go in search of “like” or at least tolerable company first because that might be on the way to healthy, real love. 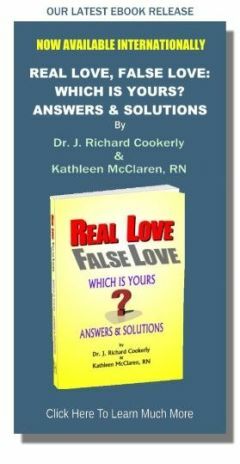 It also is important to know that it is not just about romantic love, as our culture and/or family training may have subconsciously programmed us to think. We are a gregarious species, meant to connect with each other and especially to connect in love relationships with one another. So, hear the guidance message of loneliness telling you to go in search of new or renewed love. You may be de-energized from your loneliness, think searching for love is too much work, you don’t have what it takes, love is all a matter of luck anyway and your luck in love is bad, and 100 other self sabotaging negatives with which to block yourself from taking productive action. Remember, your loneliness may just get worse if you do that. And none of those blocking mechanisms get you to a new and better place though they might help you rest up a bit first. As I have emphasized before, all our emotions, even the most painful ones, were created in us to do us constructive, healthy good though they may overdo it, under do it, or mis-do it like all human systems. If you get any kind of interpretation of an emotion’s guidance message that is destructive to yourself or to anyone, it may have cathartic value but that is all. Acting destructively is almost always destructive to yourself and not the real guidance message of any emotion. Unless your interpretation of an emotion’s guidance message goes toward health and well-being, probably for all concerned, it is likely not to be your best or most accurate interpretation. Ricardo was laying awake night after night, hurting badly with loneliness. He tried various prescription medications, then alcohol and other substances but nothing seemed to help all that much. Some people at work, including his boss, pressured and nagged him into going to a counselor, and he went along with that just to get them off his back. He expected to have to dredge up a lot of his past which would just use up a lot of time and money, but he thought he could probably cut it short being able to say okay, he tried that and it didn’t work either. He was surprised that his counselor didn’t want to talk much about his past but wanted him to do some immediate things that might be helpful. After resisting and just a few sessions later, Ricardo got himself a pet dog and everything started changing for the better. He learned that a good pet dog is perhaps the world’s quickest and surest way to get some good, healthy love. Brain studies of canines show evidence that, in brain functioning, dogs really do love pretty much just like we do and it is not just because we feed and pet them. In counseling Ricardo did have to do some work on his blocks and fears that had some causation from his past, but mostly it was about understanding and following the guidance messages in his emotions. It wasn’t long before Ricardo tentatively went in search of new involvements and new acquaintances. He went online and discovered some groups with similar interests to his own, and with reluctance got himself to some meetings. The new acquaintances showed him that new friendships might develop and were even likely. He then looked up some relatives that he had lost contact with and a renewed family love possibility came out of that. Ricardo volunteered to help in a cause he believed was good, and surprise surprise, out of that came a new romantic interest. He took a class in something he was intrigued by and that yielded some more very interesting new people in his life. He got involved in a religious connected singles group and out of that came a sense of spiritual love that he had not known before, plus some other new friends. In counseling Ricardo learned about healthy, self-love and that there is a lot of good that comes from that. Today Ricardo has a small group of deep, close friends he feels very bonded with, a renewed family love connection, a wide network of medium and milder friends, a fine and growing romantic love relationship and a much improved, healthy self-love. Ricardo is not lonely anymore. Whether loneliness comes from months or years of aloneness, or the death of a mate, or from shyness or any other reason, the prescription is the same: overcome reluctance and connect with others, and grow a loving support network for your health and well being. Can you follow Ricardo’s example if you are struggling with loneliness? I suspect you can, and hopefully you will if you need to. It would be a healthy act of self-love and self-care, if loneliness is pushing at you, to do something rather similar to what Ricardo did. Are you willing to be a good friend so as to do your share of having a good, friendship love relationship?